Bruce Katz, an expert on the role of cities in growing the economy, is visiting Sheffield and Rotherham next month to see Europe's leading research led manufacturing cluster, centred around the University of Sheffield Advanced Manufacturing Research Centre (AMRC) with Boeing and the wider Advanced Manufacturing Park (AMP) at Waverley. It is the first visit as part of a newly established International Economic Commission that is designed to help enable decision-makers in the region to share expertise and ideas on a global level and boost confidence in the city's economic plans. 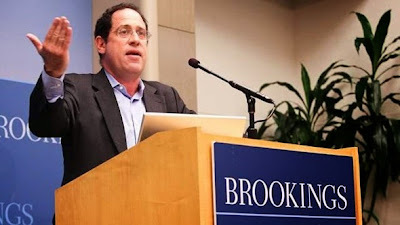 Bruce Katz is vice president of the Brookings Institute and former advisor to President Obama, who regularly advises federal, state, regional and municipal leaders on policy reforms that advance the competitiveness of metropolitan areas. The Brookings Metropolitan Policy Programme, which advocates the importance of cities in stimulating economic growth, is internationally renowned for his work on policy reforms and strategic investments that can drive cities forward. Katz is also a commissioner at the City Growth Commission which recently published its findings of a 12 month enquiry into how cities can be empowered to shape and drive their economies. Mr Katz's visit is the first of a series of "city charrettes," which will showcase the Sheffield city region to the world and enable city leaders to make global investment connections. He said: "I've heard great things about the Sheffield city region and particularly its research-led advanced manufacturing capability, so I'm keen to come and see it for myself." Also in the delegation from the United States are Julie Wagner, senior fellow at the Brooking Institute and Kelly Kline, economic development director of the City of Fremont, California. The group will be sharing their work on driving growth through innovation districts and focusing on the unique innovation based manufacturing capability. During the three-day charrette from January 14 to 16 next year, organised by Sheffield City Council, Rotherham Metropolitan Borough Council and the Sheffield's two universities, Mr Katz will meet influential business leaders in the region, visit the AMRC and deliver a public lecture in partnership with the University of Sheffield at Sheffield's recently-restored historic Cathedral. Professor Keith Ridgway, director of AMRC with Boeing, said: "We are pleased to welcome Mr Katz to the AMRC and look forward to working with everyone to position the City Region as a global force in manufacturing." Cllr. Dominic Beck, cabinet member for Business Growth and Regeneration at Rotherham Council, added: "I am looking forward welcoming to Bruce Katz and his team and sharing his insight into how we can work together across Sheffield City Region to maximise the benefits in terms of jobs, growth and prosperity from the world-leading manufacturing expertise clustered around Rotherham."